To answer that question, you first have to ask how do we get these unsightly bags in the first place? There are many causes, but generally skin tissues around the eyes weaken and sag, causing fluid to accumulate beneath the eyes and create a swollen appearance. 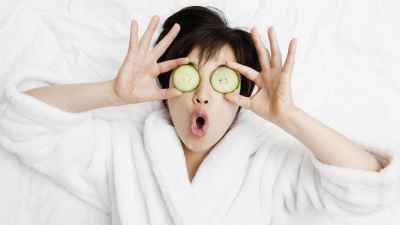 How to get rid of bags under your eyes? There are numerous natural things you can do, from eliminating some bad habits to at-home remedies, that can help reduce the appearance of bags under eyes. 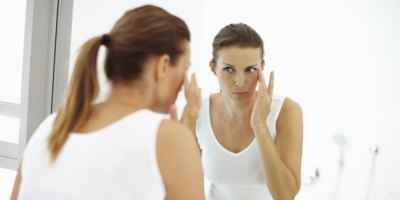 Bags under eyes can include mild swelling, saggy or loose skin and/or dark circles. While you may not like the way these bags look, they are usually harmless and do not require medical attention; however, if you experience severe and persistent bags accompanied by redness, itching or pain, you may want to see your doctor. Also, if you notice other parts of your body with redness, itching or pain, such as your legs, you could be having an allergic reaction and need medical attention. Your doctor will want to rule out other possible causes that can contribute to the swelling, such as thyroid disease or an infection. Epidermal Growth Factor … Huh? The Journal of The Society of Translational Oncology explains how cell multiplication is essential during all aspects of life to restrict growth to the few places where it is needed, such as wounds, bruising or any inflammation that needs to be healed. This can include bags under the eyes. We know that cells are very important to our existence and resistance, but this is where epidermal growth factor (EGF) comes into play. EGF is part of a complex network of growth factors and receptors that together help to modulate the growth of cells. EGF is released by cells, and then is picked up either by the cell itself, stimulating its own growth, or by neighboring cells, stimulating their ability to divide. In most cases, EGF is very beneficial. The skin around the eyes is very delicate. Make sure to take special care when applying anything around or near your eyes. If conditions worsen or you notice further irritation see your doctor immediately. Salt is most often linked to high blood pressure, but did you know that all that sodium can cause fluid retention and lead to puffiness around the eyes? If you use salt, use pure Himalayan sea salt and only a little bit. Avoid high salty foods, like pizza and some soups. Opt for fresh vegetables, in particular celery, which can help curb your desire for salt! 3. What Is Your Sleep Position? Alcohol dehydrates your body and skin. This dehydration can cause the delicate area around your eyes to appear sunken and dark. Also, alcohol can cause bloodshot, tired eyes. Taking it easy on the alcohol by having no more than one glass per day. I would suggest drinking lots of water instead. You will feel fresher, your eyes will be wide open, welcoming and your skin around your eyes will glow since they will be more hydrated. 7. Put Down Those Cigarettes for Good! Collagen is the most abundant protein in our bodies. It’s found in our muscles, bones, skin and tendons. It gives our skin strength and elasticity, and helps replace dead skin cells. Our body’s collagen production naturally begins to slow down as we age. You can thank this process for baggy eyes. Increasing collagen levels can help your skin look firmer, increase smoothness, and help your skin cells keep renewing and repairing normally. Try a chicken bone broth or collagen supplements, like collagen protein powder to increase your collagen intake. Combine all ingredients into a small glass jar with a lid and blend well. Place the jar in the refrigerator overnight. Open waking, apply a small amount of the solution around the eyes and let it sit as long as possible. Gently remove. Apply this moisturizer. In a glass spray bottle, combine all ingredients and shake well. Before bed, gently cleanse the face and remove all make-up. Spray the solution onto the face making sure the eyes are closed. Gently massage the solution under and around your eyes. Allow it to dry. Sleep with your head well supported by quality pillows.